Privacy and tranquility!! Beautiful cozy efficient 4 year old home with distant River view of Lake of the Isles. 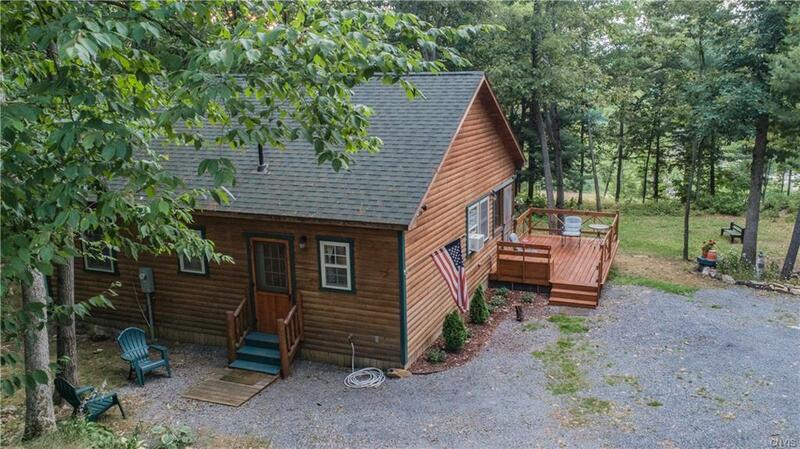 Close to State Parks, Route 81, and Canada on Wellesley Island. Two bedroom one bath quality-constructed home with screened porch and deck. Cathedral tongue and groove ceilings. Pex plumbing in walls. 12 inches of insulation is ceiling and floor and foundation is solidly pinned to bedrock.. Propane Rennai heater. Natural woodwork. 1/2 " laminent floor. Scenic generous wooded lot nestled near granite outcropping of the historic Wellesley Island ridge. Secluded yet accessible location with all cables and wires underground. 200 amp service. Shed workshop with power. Furnishings included. Enjoy quiet time at the River relaxing on the deck and watching wildlife!